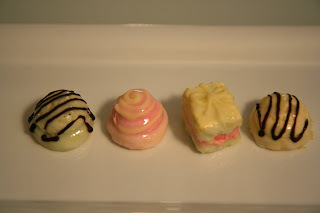 These petits fours glaces are a huge pain to make. First you make the cake base, then the flavoured butter cream, assemble them, chill/freeze, glaze, chill/freeze and finally decorate. 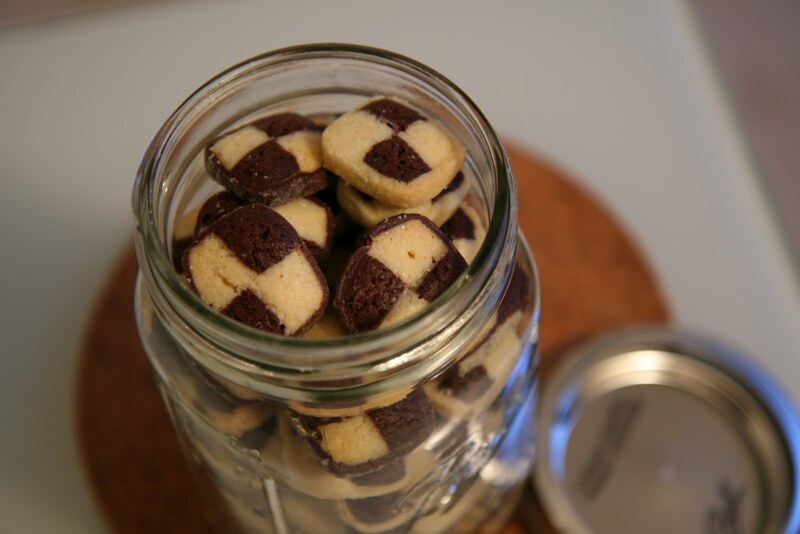 Oh, wait...that's what Tricia (my partner for this unit) and I are making tomorrow for our test (plus 3 individual desserts each). 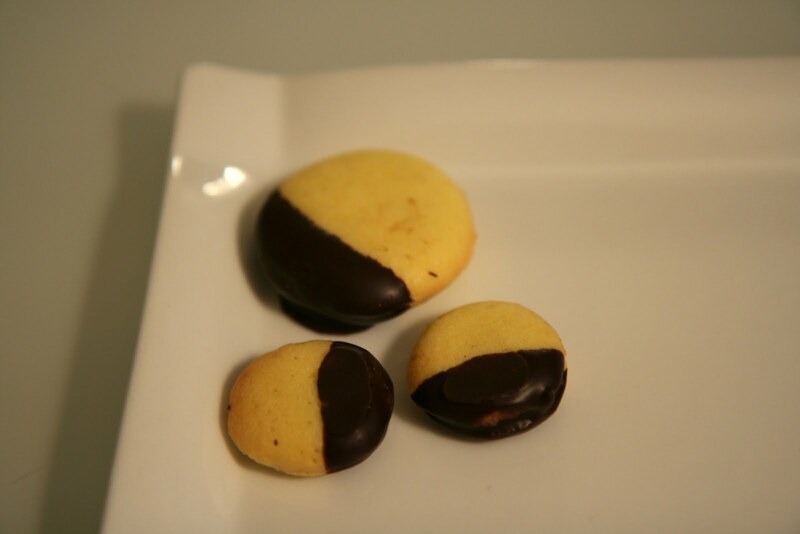 We also made lemon cookies dipped in chocolate.